There are usually two types of people when it comes to hen or stag dos. Usually, people either want to get as drunk as is humanly possible and party like they’ll never party again (and make sure there are some funny stories to tell for the wedding speeches), or those who see it as an opportunity to get together some of their nearest and dearest to enjoy a spot of bonding and do something fun and memorable together! 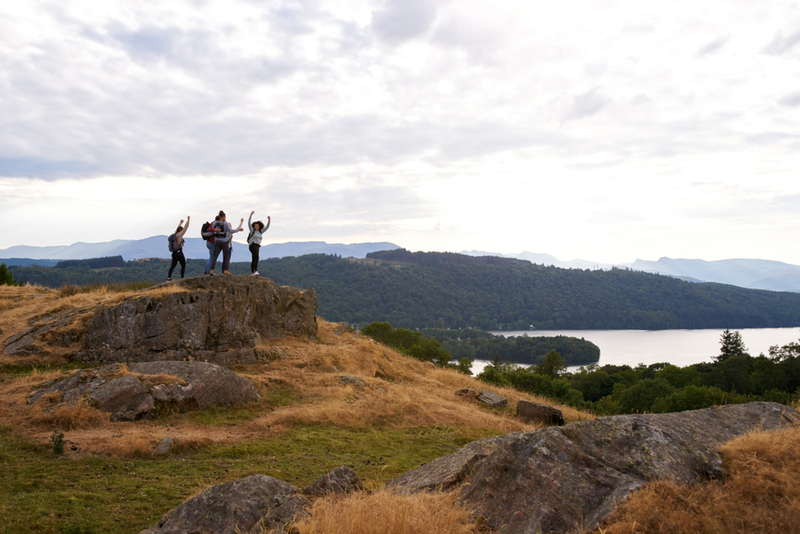 If you happen to fall into the second camp, then the Lake District has a lot to offer you in terms of fun group activities! Whether you want something exciting to get your adrenaline pumping or something a little bit more chill, there’s something for everybody. If you’re a bit of an adrenaline junkie, then you may wish to take your crew on a trip to Honister to visit the Via Ferrata. Not for the faint of heart, you’ll have the opportunity to follow the old miners route up to the top of the mountain. There are two variants, the Classic and the Xtreme. The Classic is probably the best bet if you’re bringing all of your friends or family along with you for a stag or hen do, as it’s suitable for people of different fitness levels, whereas the Xtreme is a lot more challenging (and scary!). Archery is an ancient sport, and it’s lots of fun to try your hand at. There’s nothing more satisfying than honing your accuracy and finally hitting that bullseye! One place to give it a go is Brockhole, where you can also enjoy laser clay shooting, mini golf, and a treetop adventure. Brockhole makes for a great day out whatever age you are, so if some of your party have little ones you don’t mind having in tow for your hen or stag, it’s the perfect place to go. Ideal if someone you really want to be there struggles with childcare! Get really close to nature with a spot of ghyll scrambling if you are the outdoorsy type! If you’re not sure what ghyll scrambling involves, it’s basically travelling up (or down) a mountain stream. You don’t need any experience as you will be doing it with an instructor, but you do need to not mind getting wet. There’s no better bonding experience than a camping trip, and whether you like to take it completely back to basics or opt for a spot of glamping, it’s always nice to gather together your nearest and dearest and get close to nature. Camping is also a great way to enjoy some outdoor activities like walking in the beautiful Lake District, or just relaxing somewhere peaceful (something that most brides or grooms could do with in the midst of all the pre-wedding stress. Here at Pure Leisure we welcome considerate campers, and have everything from your basic pitching spots, to camping pods. Check out our camping options here. A spa day is a firm favourite with hen parties as it gives the bride a chance to relax after all the stress of wedding planning. It’s also a really nice thing to do with your nearest and dearest but is usually the sort of activity that is saved for a special occasion, so a hen do (or a stag, men love being pampered too!) is the perfect excuse! A lot of hotels in the local area have spa facilities, or there is the Bannatyne Spa in Carlisle, which offers lots of relaxing and rejuvenating treatments that are sure to leave you feeling like a whole new you. Of course, for most people, having a few beers is a stag/hen rite of passage, so why not fit in a trip to Hawkshead Brewery during your do? If you’re a lover of ales, what better place to sample some than right where they’re brewed in the heart of the Lake District! We hope this has given you a few ideas if you’re planning a slightly more rural stag or hen do than your average city break!